Comparing Bullets, Fabric Fibers, Hair, or whatever? 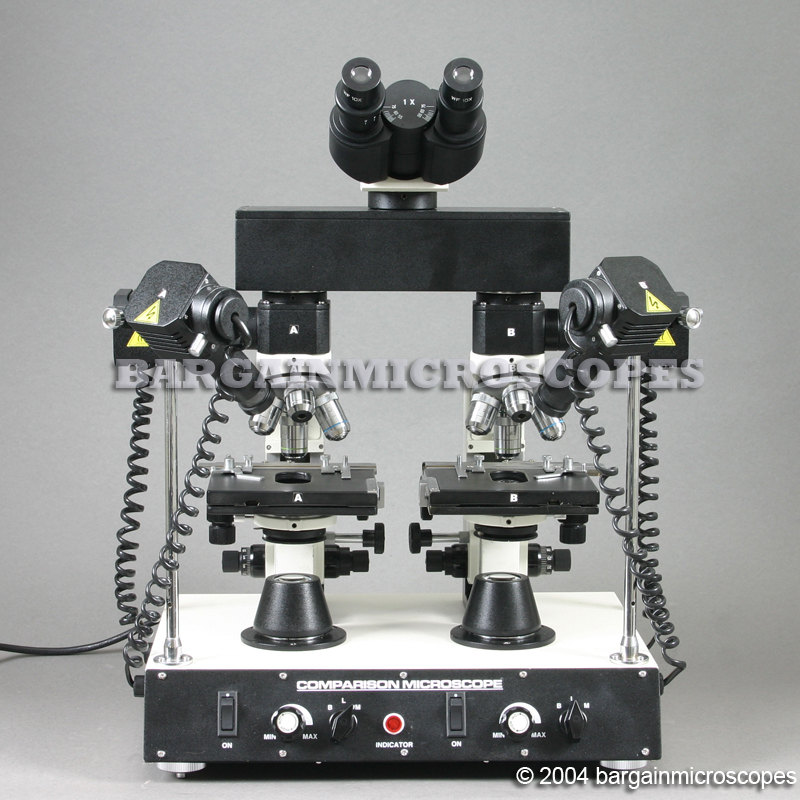 You need one of our Forensic Comparison Microscopes! But this time, you don`t need the boss sitting when you show the pricing! 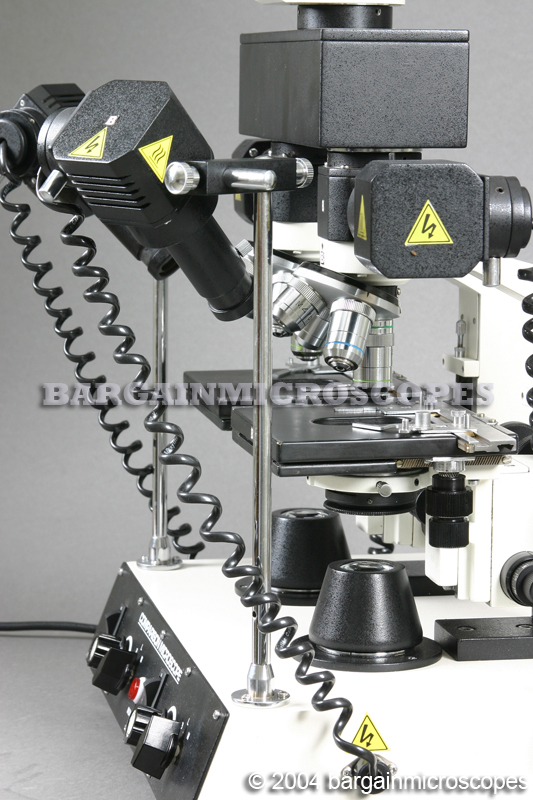 Well Built High Power Forensic Comparison Binocular Microscope! 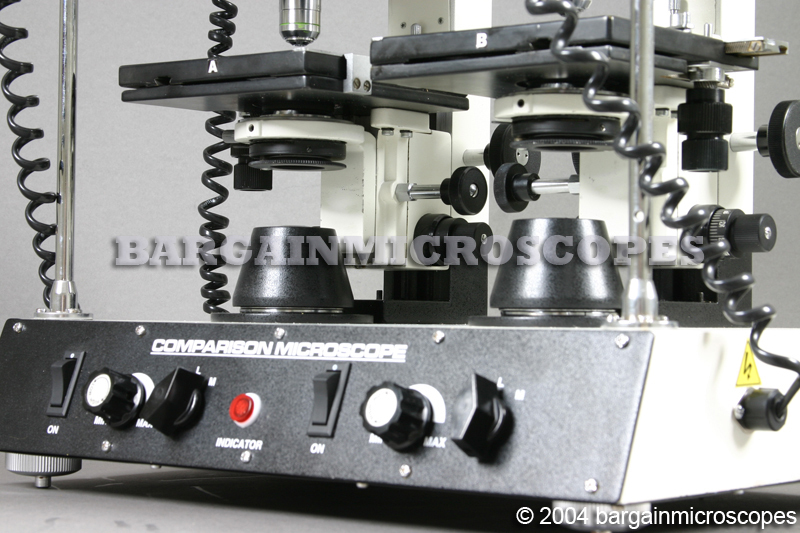 Excellent for Microscopic Examination and Comparison of Two Objects! View Both Specimens Side-By-Side Simultaneously on a Single Split-Screen Image! Includes three illumination methods: Brightfield Transmitted, Incident Reflected, and Epi-Illuminationl. 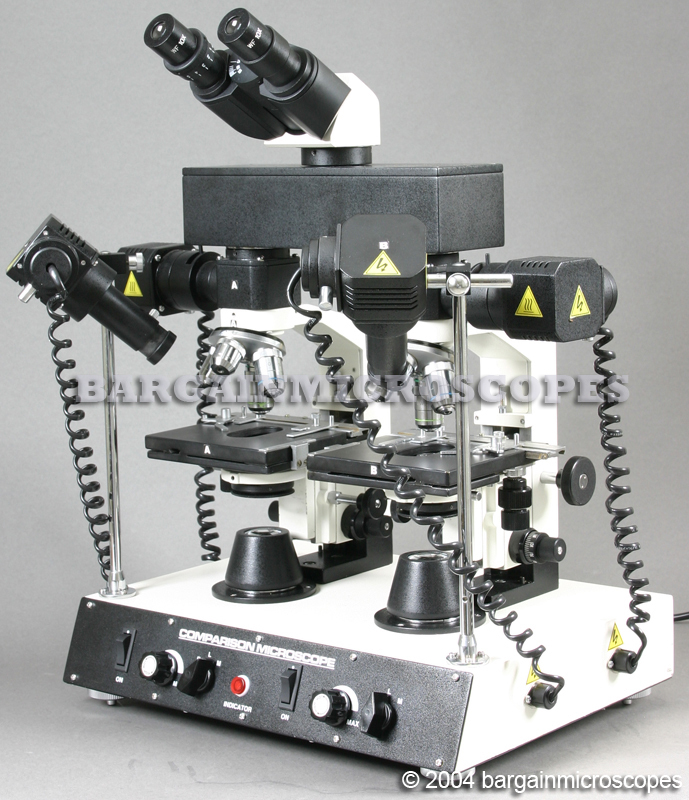 The Epi-Illumination Capability turns this instrument into a fully functional Metallurgical Comparison Microscope. Great for use in Criminal Investigation and Forensic Science! Excellent for Private Investigators, Criminologists, Laboratories, Forensic Investigation, and any of Numerous Applications where Two Specimens need to be Closely Compared! Instrument Consists of Two Microscopes Combining their Split Images. The Image from one is on the Left Side, and the other is on the Right Side. 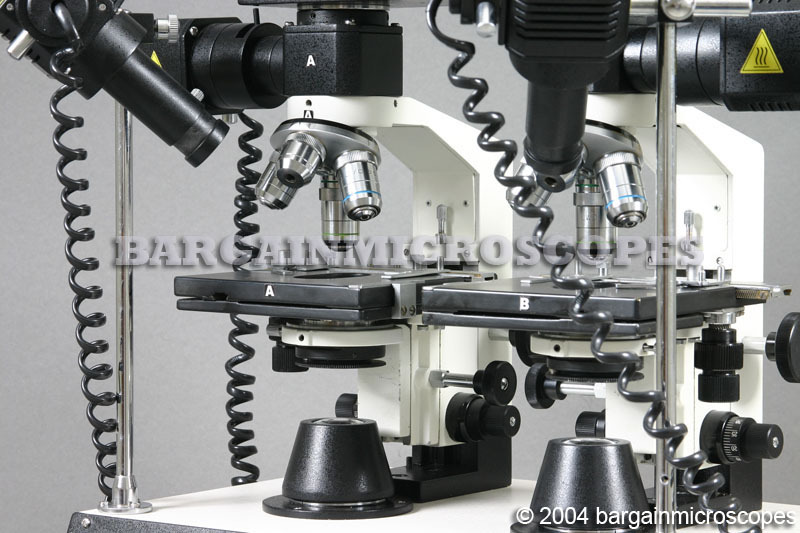 Each Microscope has its Own Independent Set of Objectives. 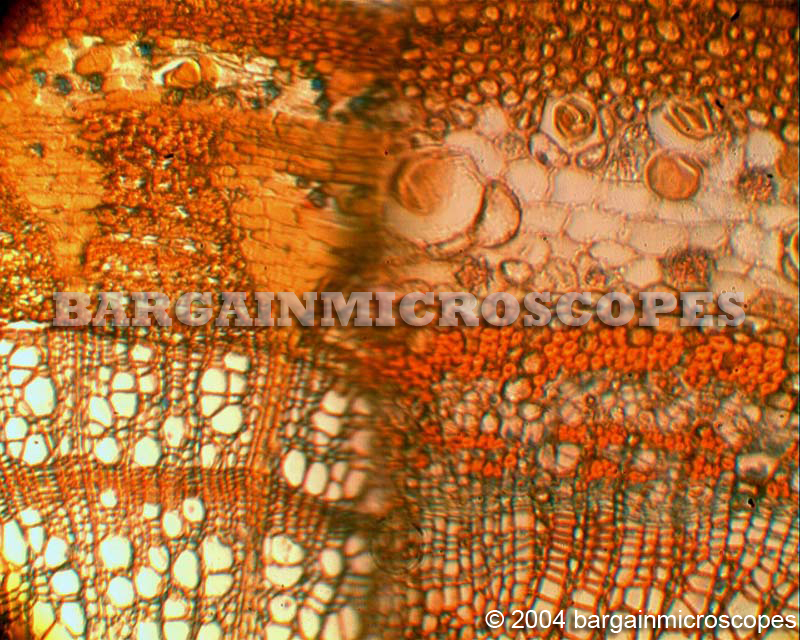 The Microscopes can be set to the Same or Different Magnification Levels. Great for Comparison of Fibers, Hair, Bullets, Bullet Cartridge Casings, Scratch Marks, Wires, and Paint Fragments, using the Same Lighting Conditions and Magnification. 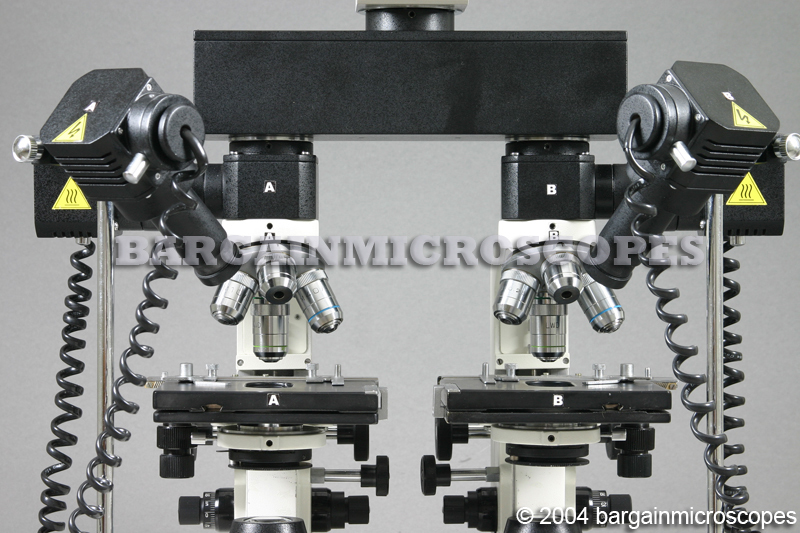 Forensic science microscope great for comparison of two specimens. Eyepiece Sets Included: Wide Field 10x and Normal Field 15x. Three Achromatic Objectives on each side: 4x, 10x, and 40x. Quad Nosepiece with four openings for extra optional objective. System is selectable between three illumination sources. Transmitted Base Illumination: Variable Intensity Halogen. Bottom light source can be moved around to precisely align the path. Incident Reflected Illumination: Side mounted lamps with variable intensity halogen bulbs cast reflected light on an angle. Metallurgical Epi-Illumination: System comes with halogen variable intensity through-the-lens illumination for use with metallurgical or opaque specimens. Adjusts to the Distance Between your Eyes: 55 to 75mm InterPupillary Distance. For Transmitted Illumination: 1.25 N.A. Abbe Substage Condenser, Condenser Movement on Rack and Pinion Steel Gears, Iris Diaphragm and Swing-Out Filter Holder. Condenser Alignment Screws. Daylight Blue Clear and Daylight Blue Frosted Filters. For Incident Illumination: Light Focusing Knobs. For Metallurgical Epi-Illumination: Green and Daylight Blue Filters. Two Large Graduated Mechanical Movable (up/down and longitudinal Y-direction) Stages: 130 x 130mm. Low Position Coaxial X-Y Slide/Stage Movement Knobs – Range of Movement: 75mm (X-Direction) x 40mm (Y-Direction). Three Types of Stages: Stage for glass slide that would normally use transmitted bottom light. Stage for Opaque specimens, such as metallurgical samples using the epi-illumination or incident light. Bullet Stage that holds bullets in place. Fine and Coarse Focusing Knobs. Adjustable Screw Stop to Limit Coarse Range to Protect Specimens. 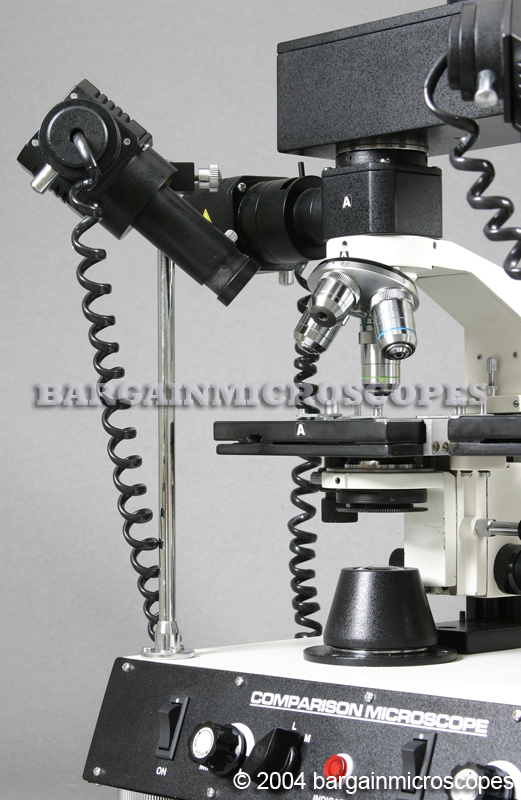 Total Overall Height of Microscope: 520mm. Includes: Extra 10x Eyepiece with Built-in Measuring Reticle: X-Scale, 10mm in 100 divisions. Includes: Extra 5x Eyepiece with Built-in Crosshair Reticle. Comes with two Extra 20W Halogen Bulbs, Dust Cover, and Cleaning Cloth. Ships in Molded Styrofoam Container for protection. 110 VAC Power Requirement (Contact us about 220V availability). 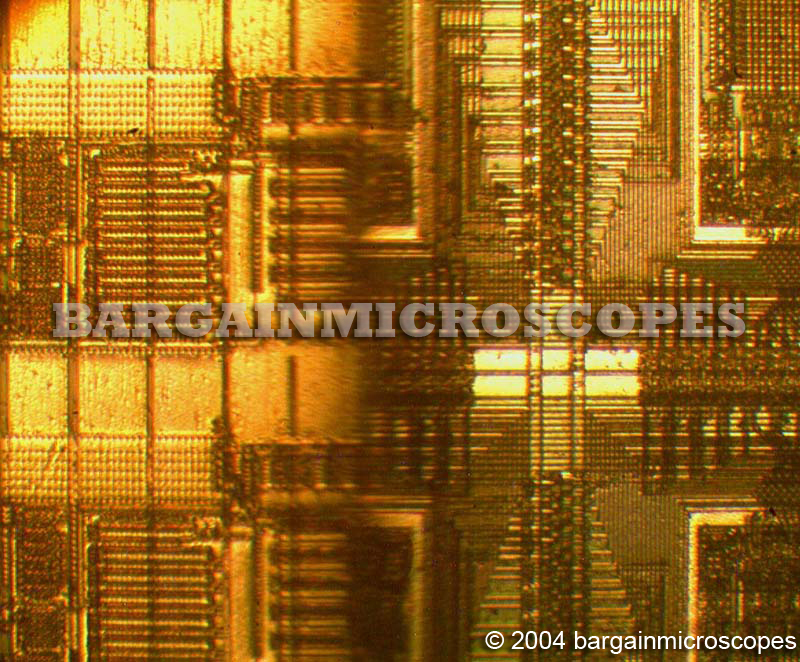 Warranty is 5 years on all microscope equipment. 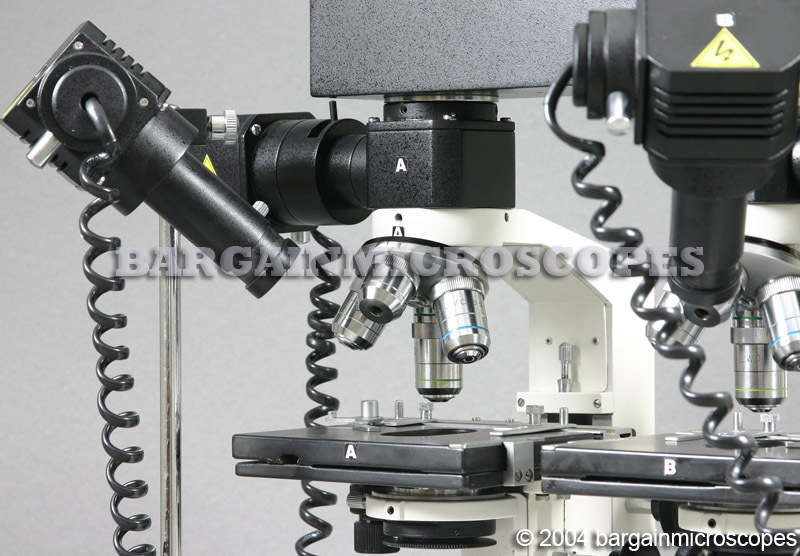 The microscope warranty covers problems arising from normal usage. 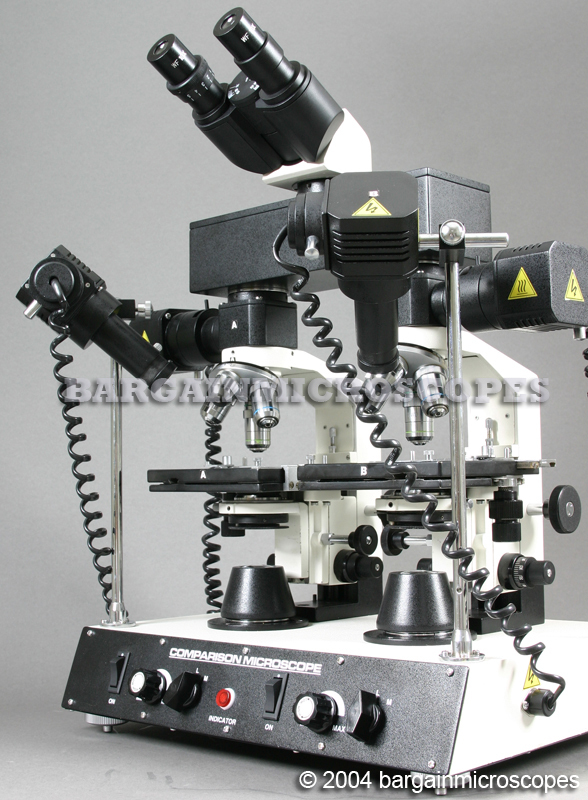 We will repair or replace your defective microscopy equipment as needed during the warranty period.